What do I do now that I’ve got a succulent? Congratulations on your recent acquisition! We’re sure you two will get along just fine. 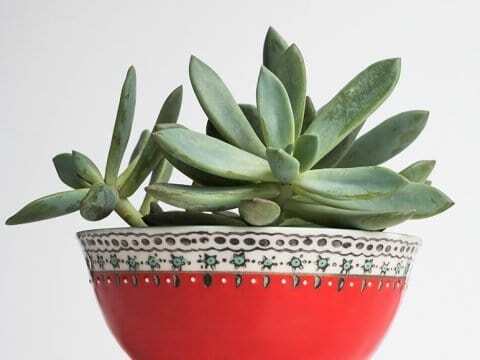 Here are some general tips for succulents. Please note that while this information is accurate for many of the plants you will encounter, certain species require specialized care. This is not a mandatory formula – these hardy plants should do well almost anywhere as long as they have proper drainage. To that end, only plant in pots with a drainage hole. There is a common misconception that leads people to line the bottom of their pots with gravel or rocks. This does not actually make up for the lack of a drainage hole – it actually keeps water near the roots! 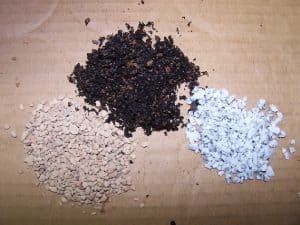 Read this article about succulent soil for more info. 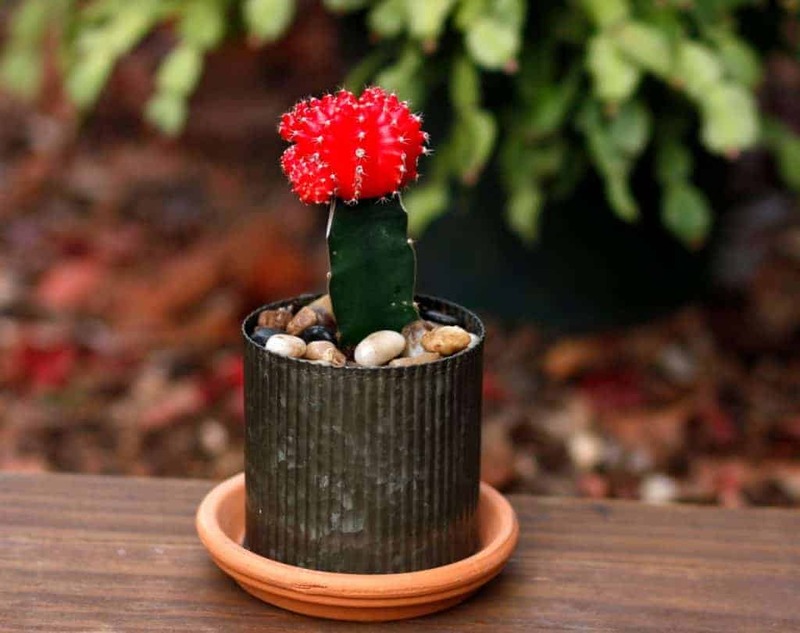 For a commercial alternative, most cactus soils work wonderfully for other succulents too! Many people recommend organic soil additions such as sphagnum moss. Moss serves to hold water, which is generally not what succulents want. Remember that we are seeking to emulate the plant’s natural habitat. There is very little organic matter in the soils of deserts! This is the trickiest part of caring for succulents, and indeed, most plants. It is tempting to show your plant a little love by giving it some water as you fawn over it daily. But please, ladies and gentlemen, restrain yourselves. While you may have the best intentions, you will only serve to smother your plant. It’s hard to give an exact time frame (water your plant every Sunday), as each species and even individual has its own needs. 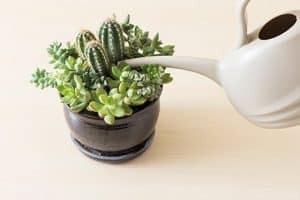 A good rule of thumb, however, is to water your succulents once every two weeks. But keep an eye on them! You may find that they begin to wilt. If so, water them a little more frequently. If you notice leaves or stems starting to turn brown or black, they might be suffering rot. You’re probably drowning the roots. Cut back a little bit. There are several methods of watering. It is usually fine to pour water near the base of the plant, as you would with any other plant. If you don’t want to disturb new or fragile plants, try using a water stone. That is, a stone on which you pour water which spills off onto the roots of nearby plants. Some succulents also like to be misted! If your plant looks unwell, don’t panic! Remember why we picked succulents? They’re pretty, but tough. They can survive a beginner gardener. Experiment with different watering regimes. It’s okay if they lose a couple of leaves along the way, they’ll be better for it once you figure out what makes them happy. An assumption that many beginners fall prey to is that there is no such thing as too much sunlight. On the contrary, despite being characterized as “desert plants”, succulents are subject to sunburn (though not in the same way that we are!). Usually an average of 8 hours a day of sunlight is sufficient for these plants. Sunburn is usually not a serious issue, and can be rectified fairly easily. Symptoms often manifests themselves as discoloration or brown spots, in addition to wilting. If you are afraid that your plant has sunburn, try moving it further from the window or to a window facing another direction (if inside) or place it in a place that has partial shade during the day (like under another plant if outside). Of course, the opposite problem is more common – not enough light. 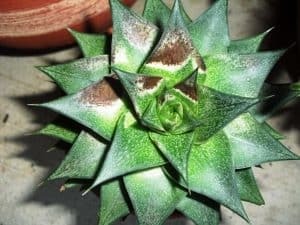 One train of thought is that many succulents do better outside (depending on the season), and so repositioning your plant into some fresh air may yield positive results. For those that prefer to keep their plants inside (and better defended from pests), grow lamps are a good, if costly, choice. – South-facing windows are optimal (if you are in the Northern Hemisphere). – Some succulents go through seasonal periods of dormancy and growth, and require different care methods!